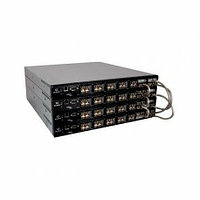 Коммутатор Qlogic SB5800V-08A8 SANbox 5800V full fabric switch with (8) 8Gb ports enabled, plus (4) 10Gb stacking ports enabled, single integrated power supply. Expandable up to (20) 8Gb ports, plus (4) 10Gb/20Gb stacking ports. Includes (8) 8Gb SFPs. Цена: 2 421 500 Тг.